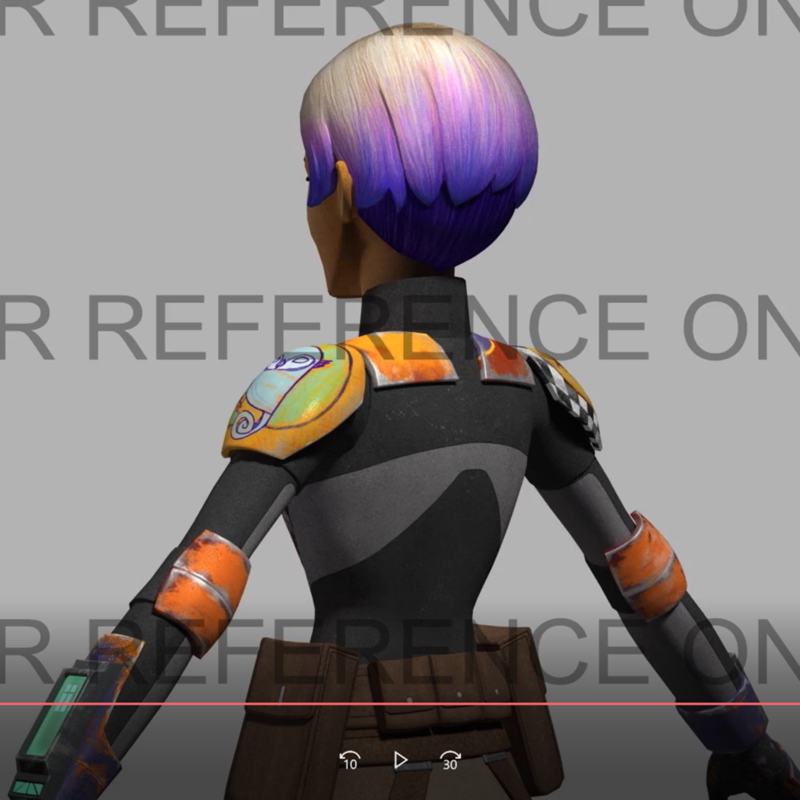 I've been a huge fan of Sabine Wren since I first saw her, and now I'm finally going to make a costume of her. My only other costume is Juno Eclipse, and I envy everyone going around with at bucket. 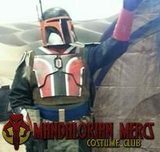 From the Rebel Legion forums I found out that Mandalorian Arsenal was a good place to get the armor kit, so I ordered from them http://themandalorianarsenal.com/armor.html#Sabine. They estimated 8 weeks production time, which they stuck to. 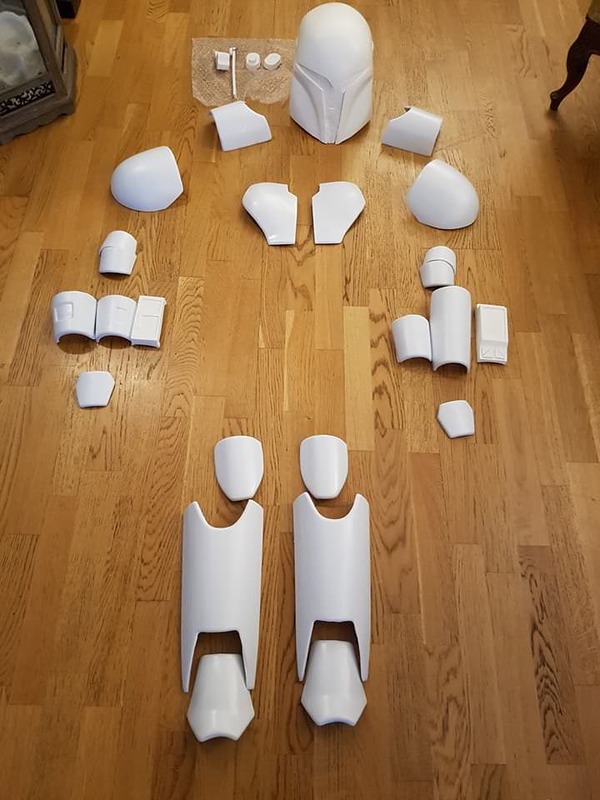 I ordered my armor 13th of October 2017, and received it before Christmas (my package got stuck in Norwegian customs for over a week). 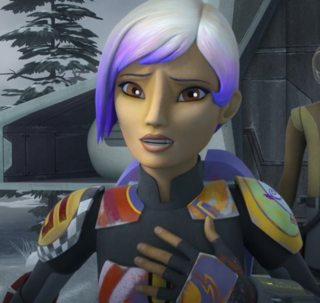 I've been talking to some nice ladies on the Rebel Legion forum about the fabric used for Sabine Wrens top. 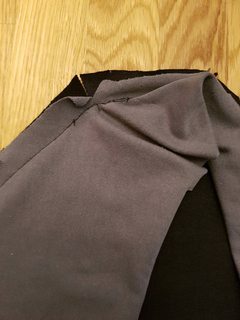 It is black (I thought it was dark grey first), but it is a rougher and not so shiny quality. 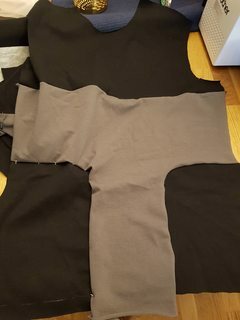 There are also light grey details and I got the same kind of fabric in a lighter shade. I think I found the perfect fabric and I am super happy I also bought a whole lot of colors from Humbrol (which was a tip from a "dellow felegate"
I am totally new to airbrushing. 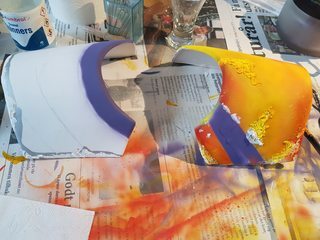 And the Sabine Armor is a whole lot of airbrushing. Therefore I thought I would start with something simple so that I may practice. And if I totally screw it up, I can just sand it down and start over again. So I chose to start on the elbows. 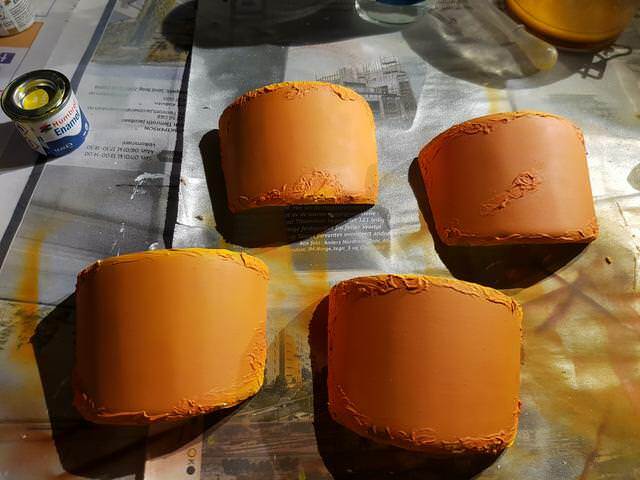 They are to be orangy-with a dark brown/reddish background and also metallic underneath. First off I marked my elbows. There are 4 pieces in total, two on the left and two on the right. I cut off the excess plastic and sanded them down all nice and smooth. I checked on my elbows today, and noticed that when I dragged my nail along the paint, it came off. And this is with primer on the bottom. I am a little afraid that the Humbrol Enamel paint won't stick. I sanded them down today and started over with a spray I have previously used for Hennings Clone Armor. I am hoping that the Humbrol paint will stick to this better. 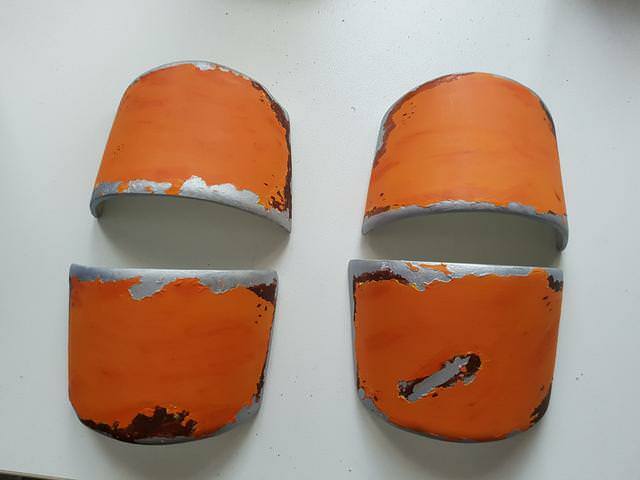 Also, the weathering solution I bought and tried didn't work at all. So I am back to using toothpaste. Could be that the primer you used on the plastic did not work. 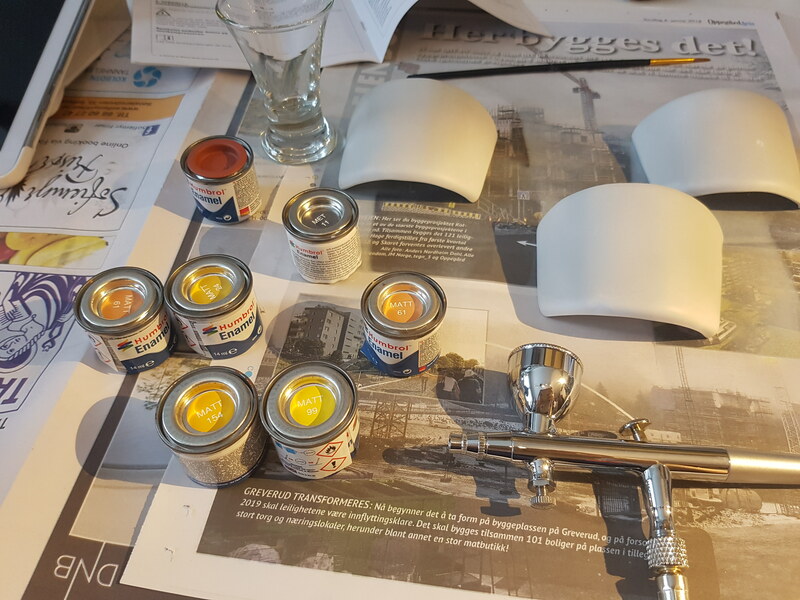 I used plastic primer bought from Motonet, and also used Humbrols. After painting the layered paints on my Fett are still there. Hope the other primer is better. BH-11380 wrote: Could be that the primer you used on the plastic did not work. I used plastic primer bought from Motonet, and also used Humbrols. 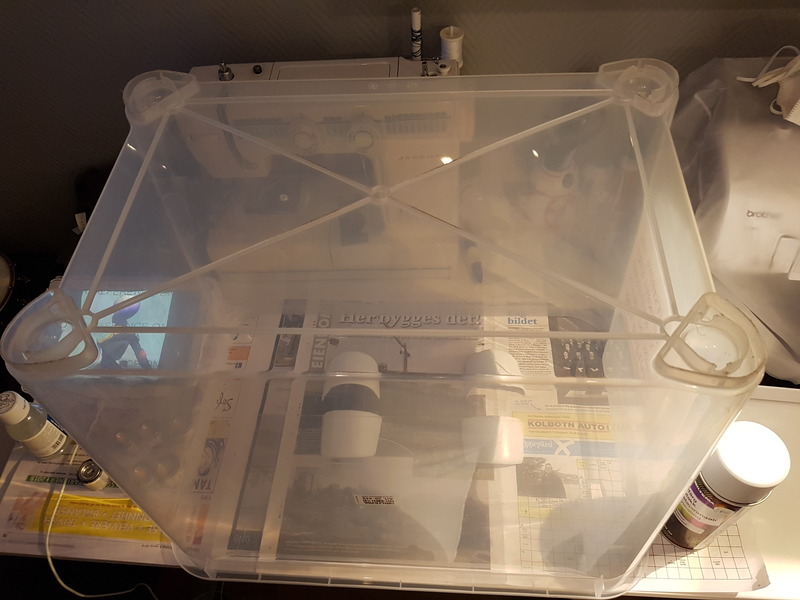 It seems, so far, that the new coat sticks to the plastic well. 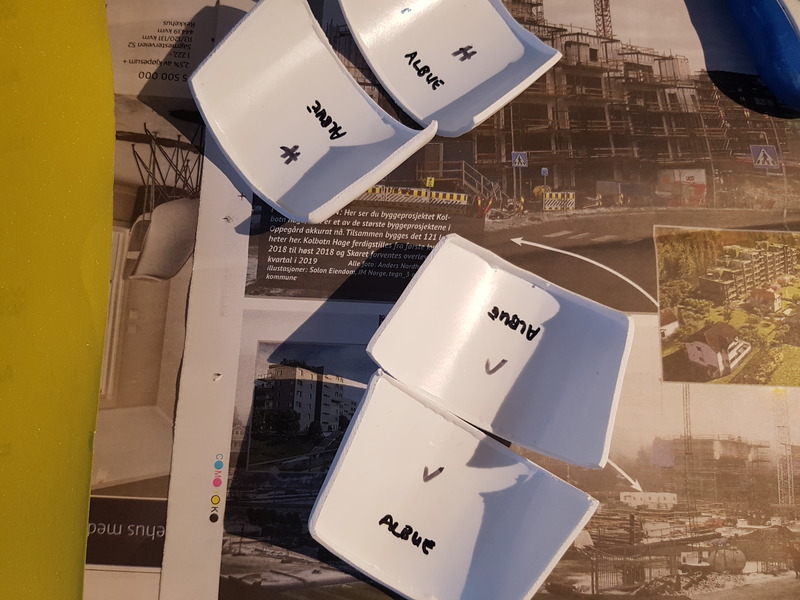 I am in the process of painting the shoulders now (layer upon layer upon layer) and hoping that the results will look awesome. Are you having trouble with coverage with the humbrol paint? 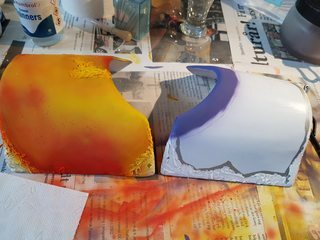 I noticed that when I wanted to paint orange over the silver metallic that even after three coats that the orange seemed dark and murky. 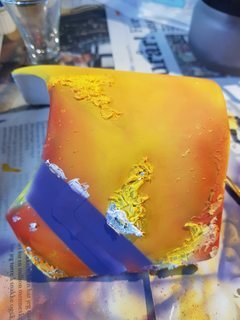 So now I am trying to paint with a yellow first and then the orange on top. I used toothpaste as weathering. This has proven to work well in the past. So after I painted the silver/metallic I added toothpaste to the areas where I wanted the metal (and the brownish color) to come through. And thereafter I painted the elbows yellow so that the top color would seem brighter. I used a regular paint brush to evenly distribute the color. I wasn't too concerned about the brush strokes as there will be a top coat of a different color. Mandobjorn: Well, i guess two would do it better.